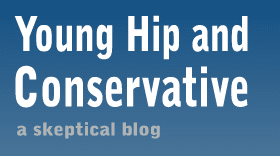 Young, Hip and Conservative: a skeptical blog: You mad bro? I'm still putting a piece about the Boston Marathon Bombing that occurred about 50 miles from my home. Until I have that piece ready, here's a clip from President Barack Obama's long, bitter speech he gave today about how the Senate blocked his feel-good gun control proposals. Here's a link to the whole thing. It was playing in the other room tonight and I was a bit surprised at just how childish the president was acting. Adamantium: Man, The Onion writer's are pretty bitter too. They've never been above creating a phony scenario to make their political fantasies come true, but this is one is just flailing wildly. Yup, he acted like a little kid who was just told he had to eat his dinner before having dessert. Look at Biden! He's pouting!